Ford Motor Co.?s output in Mexico is tumbling as the company prepares to exit the sedan business in the U.S.
Production at Ford?s Mexico factories plunged 31 percent last month to the lowest for any April since at least 2009, according to data compiled by a trade group of automakers. 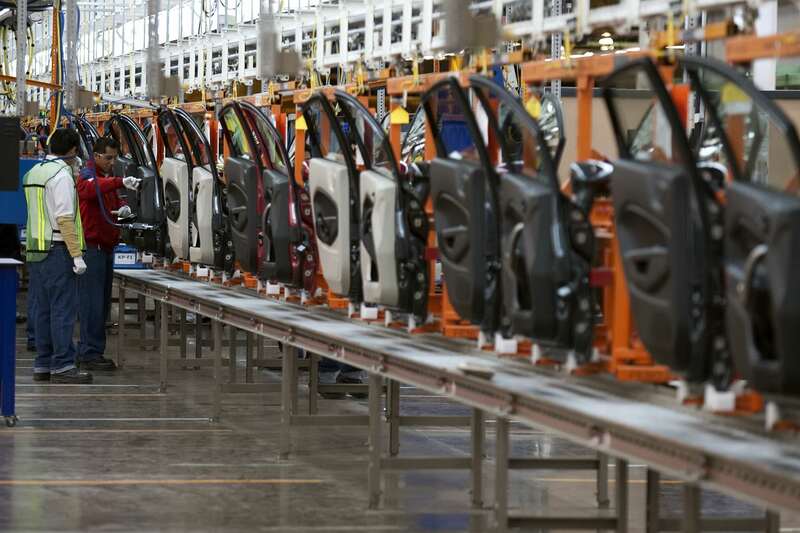 Ford?s exports from Mexico, most of which go to the U.S., sank 36 percent. The downturn underscores Ford?s strategic shift in the U.S., where the company is refocusing on lucrative trucks and sport utility vehicles and abandoning slow-selling sedans. Two of the three models that Ford makes in Mexico, the Fiesta subcompact and Fusion family car, are marked for death in the U.S. The third, the Lincoln MKZ, shares mechanical underpinnings with the Fusion and is built on the same assembly line, leaving its future in doubt. ?We are constantly adjusting production to the demands of the North American market, with the goal of reducing inventory,? Ford said in an emailed statement. The company?s production fell 18 percent in the first four months of the year compared with the same period a year earlier. U.S. inventory of the Lincoln MKZ was at 104 days? supply at the beginning of this month, while Fiesta was at 85 days and Fusion was at 74 days, according to Automotive News Data Center. Automakers generally consider about 60 days? supply to be an ideal inventory level. Ford ceased making Focus and C-Max small cars at a plant near Detroit on Friday. The factory?s 2,000 workers will be laid off for almost six months while the automaker converts the facility into the production site for the revived Ranger pickup and Bronco SUV. In Mexico, Ford?s sales increased 5.2 percent last month, according to an association of auto dealers. The Dearborn, Michigan-based carmaker has been consistently losing ground to Kia Motors Corp. and other Asian rivals that have been coaxing Mexican buyers away from U.S. brands. Ford shares slipped 0.9 percent to $11.24 at 3:10 p.m. in New York. The stock is down about 10 percent this year.